Please note that currently we have a large backlog of restoration and rebuilding work to complete over the fall and winter months. We are therefore taking very little new work at the moment, but might be able to squeeze a few jobs in if they are small or an "emergency". Please contact us for more information and we apologize for the inconvenience. Whizzer Works have been restoring, rebuilding, repairing and doing custom work on Whizzer Bikes, Whizzer Engines, Whizzer Parts and related items for over ten years. Our owner, Mike Steiff, is one of the most well known and respected people in the field of Whizzer Motorbikes. Whether you are looking to have an entire bike restored, or need a single part repaired, we can help. 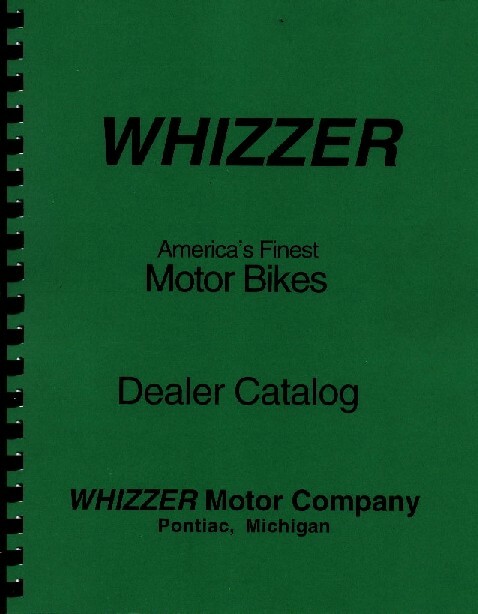 Photocopied Reproduction of 1952 Whizzer Dealer Catalog. Catalog includes detailed parts list and pictures for various years and types of Whizzer motorbikes and accessories. It also includes service information fro various parts (transmission, clutch, brake, etc) various bike ads and other dealer information. An invaluable guide for any type of Whizzer restoration work. 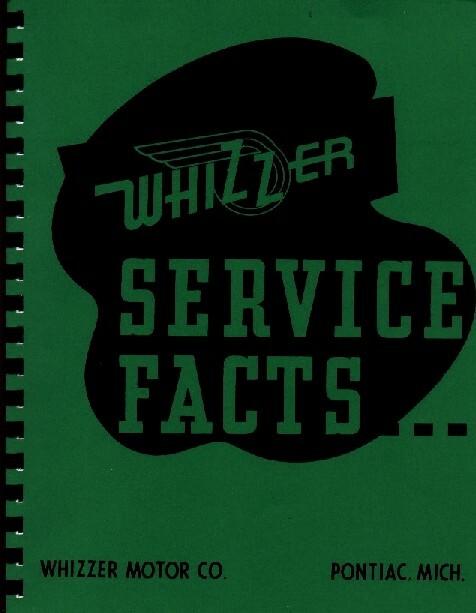 Photocopied Reproduction of 1950s Whizzer Service Facts Manual. Detailed manual for installing engines, maintenance, servicing and overhauling a Whizzer engine, includes detailed parts list and pictures of all motor parts. An invaluable guide for Whizzer restoration work. Photocopied Reproduction of 1948 Whizzer Instruction Book. Basic guidebook to installing a motor on a Whizzer, includes detailed parts list and pictures of all motor parts. An invaluable guide for Whizzer restoration work.